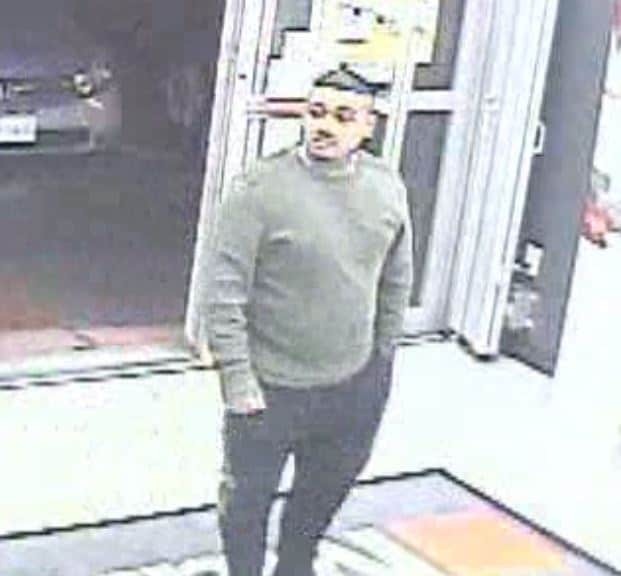 SURREY RCMP are requesting the public’s assistance in identifying a suspect as they continue to investigate three incidents of groping which are believed to have been committed by the same male suspect. 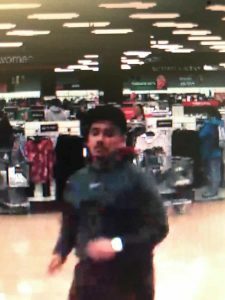 On December 22, 2018, at approximately 5 p.m., a male suspect entered a retail store located in the 12000-block of 72nd Avenue. The suspect requested assistance from a female store employee and touched her lower back and grabbed her buttocks. He then grabbed her arm and attempted to walk with her. The employee broke free and the suspect quickly left the store. On December 31, 2018, at approximately 2:45 p.m., a male suspect entered a retail store located in the 10300-block of 152nd Street. The suspect requested assistance from a female store employee and grabbed her buttocks and touched her groin. The suspect then left the store. On January 18, at approximately 8:45 p.m., a male suspect entered a retail store in the 7400-block of King George Boulevard and requested the assistance from a female store employee. While in the store he brushed his hand against the employee’s buttocks and then grabbed her buttocks. The suspect then exited the store. Surrey RCMP released video surveillance photos from these occurrences in hopes that someone can assist the police investigations and identify the suspect.